Poland has recently been severely criticised by the EU for lagging behind on its accession obligations; much of this criticism focusing on the agricultural sector and food hygiene issues. 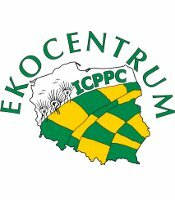 I was recently in Poland to interview representatives of the ICPPC (International Coalition to Protect the Polish Countryside) with a view to writing an article on traditional Polish agriculture and how it is likely to endure after EU accession. Some 1.6 million of Poland's 2.5 million farms are - as you may know - less than 7 hectares in size, are farmed in a 'traditional' manner, and do not fit the picture of modern, large-scale 'industrial' farming. - The importance of agricultural policy in addressing consumer concerns on food quality and safety as well as environment protection, sustainability and the welfare of farmers. · How does organic agriculture fit into this picture? Surely, large-scale 'industrial' farming is by definition unsustainable, incompatible with environmental protection and detrimental to food quality and human health? Organic farming fits very well in the picture you just described. Organic production methods have a high potential and a proven record of delivering environmental goods to society. Organic farming is also largely recognised as the most developed form of sustainable production. Many consumers express a preference for organic products, although this does not always lead to purchase. The scale of the production entities is in my view not the essential point in this story. Whatever the scale, the organic production rules must be applied and all operators involved in the chain should receive a fair share of the benefit. Probably there are some lower and upper size limits for organic farming production entities, but these would depend very much on local circumstances, history and culture. As to large scale "industrial" farming, it is acknowledged that the general public is concerned about the sustainability of modern agricultural methods and how this impacts the food chain and human health. People are worried about production methods on the farm and in processing plants. However, it has to be borne in mind that, at present, the larger part of our food requirements will be met by this type of farming. Also, it is not because food is produced "industrially" that it is unsafe. Food quality means many different things to different people and different cultures but the bottom line of food quality is that all food has to be safe to consume. Food safety is not a "bolt on extra" but an absolute requirement for all food production. It is our responsibility and the responsibility of member states to ensure that food, however produced, meets all the requirements of hygiene and safety regulations. Also, we must be certain that announced changes in agronomic practice correspond to reality. The enlargement of the EU to countries where consumers have less spending power makes this all the more important. We are not in favour of big farms or small farms just for their own sakes. We are in favour of well run, profitable and environmentally-friendly farms. The good news is that those are precisely the sorts of farms from which consumers want their food to come! · Will a reformed CAP substantially and meaningfully subsidise and otherwise promote small-scale organic agriculture? The reformed CAP will offer greater possibilities to organic farming than the ones already present in the "old" CAP. The single farm payment will give farmers more freedom to produce what the market wants, which should be beneficial for organic farmers. The support under Rural Development will be continued and new possibilities are on offer, such as support for the participation in food quality schemes and for the marketing of quality agricultural products. Through these measures the whole chain from farmer to consumer should be stimulated in a balanced and coherent way. Subsidising "organic farming" or any other kind of farming is not the underlying aim of the reformed CAP. The reformed CAP exists to provide support for farmers in the execution of their commercial choices. Consumer demand and not subsidies must drive the business decisions made by farmers, whether they be for mainstream or specialist productions. Your document "EU citizens want safe food and healthy environment from farm policy" (Brussels, 25 June 2002)" acknowledges that consumers feel that they do not have sufficient information regarding food quality and production. Indeed, in addition to their expectations given in (a) above, they also expect "cheap" supermarket food - transported often thousands of kilometres and produced wherever its cheapest (for every 1 calorie of carrot imported into the UK ftom South Africa, 66 calories of aviation fuel are consumed!). By definition this is incompatible, surely, with their expectations regarding quality, environment and farmer welfare. · How does the EU intend to address the issue of 'food miles' incurred in the production and sale of food? Already now the consumer can make his own choices when buying fruit and vegetables, as their origin is indicated. I think the 'food miles' are a great education tool that can successfully be used to raise awareness about the ecological limits of transporting everything backwards and forwards. On the other hand, for some food products there is hardly any other option than transporting them a couple of thousand miles to bring them to the consumers who are asking for them and who are willing to pay for these products. Apart from possible tax measures that may increase the price of transport, I do not see how a regulatory approach could work here. · Does the EU intend to actively support LOCAL production and sale of food? Local production and sales of food is a very good economic principle with a high ecological efficacy. In some situations, it is by far the best option. In other situations, the important production zones, suitable for efficient (organic) farming are not located close to where the potential buyers of the products are. The most important thing in my view is that, when stimulating organic farming, we should look at the whole chain, and not only at the production side. Again, by indicating the origin of the products, the consumer can make his choice. Of course, it is important that the food, apart from its local origin should be nutritious and safe. Local production, in itself, is not a guarantee of anything more than local production. ICPPC campaigners and farmers I spoke to described the crushing bureaucracy involved in claiming EU subsidies and meeting EU standards which is fraught - they claim - with bizarre anomalies. · 80% of EU subsidies currently go to just 20% of farmers...the biggest farmers. How will reformed CAP rectify this imbalance? It is true that, for historical reasons, there is an imbalance in the distribution of direct farm aid and most of the direct payments are indeed paid to a minority of farmers. As always one should, however, be careful in exploiting certain figures for analytical purposes and in making generalised statements. For example, these figures include part-time farms with other gainful activities and they do not yet show the effects of the Agenda 2000 reforms. Nevertheless, the Commission has recognised this problem and has been trying for years to find a solution, for example with a proposal to introduce a maximum amount of direct payments per farm or a capping system. Unfortunately, it was not possible to find a majority in the Council to support these proposals. Nevertheless Agenda 2000 offered the opportunity to Member States to apply certain redistribution through a voluntary modulation mechanism. Modulation allows Member States to reduce the direct payments for large farms by up to 20% and to spend it instead on additional rural development measures. Consequently, Member States ensure that all farms, whether large or small sized, are treated equally. However, this opportunity was used only by a few Member States. The June 2003 CAP reform goes further in reducing this imbalance. It introduces obligatory modulation for all Member States and consequently reduces direct aid for bigger farms. Direct payments above a franchise of 5000 euro per farm will be reduced by up to 5 % and the money generated will be spent on additional rural development measures. Part of the modulation money will be redistributed between Member States taking into account, amongst other criteria, their economic situation. The recent CAP reform also provides a wide range of opportunities to Member States to redistribute direct payments within the framework of regionalisation. Member States will have to decide until August 2004 at the latest whether and how they want to use these opportunities. Finally, CAP reform imposes an overall ceiling on non-rural development agricultural expenditure, meaning that the real value of direct payments will decrease over time. The fact that no ceiling was fixed for rural development expenditure has to be seen as a clear indication that the political will exists to strengthen the second pillar of the CAP, which is not linked to historical payments and which offers several possibilities to redirect CAP expenditure according to social and environmental objectives. * Milking a cow by hand is to be declared in violation of EU regulations! Most small-scale, Polish farmers have only four or five cows; to use a machine is surely unnecessary! "Why would I want a machine?" one farmer asked me; "I clean my hands, I clean the cow's udder, I clean the bucket. Why is this not hygienic?" The same farmer will also be obliged to build a new milking shed, complete with stainless steel tanks, cooling equipment and concrete floor. This farmer sells his milk to twenty families within a few hours of milking, and is therefore genuinely bemused by these regulations. Would you not agree - and would not the average European consumer agree - that regulations such as these take the concept of hygiene much too far? Are not such regulations relevant only to large-scale, 'industrial' farming operations, and are simply both unachievable and undesirable with regard to the typical Polish farmer? The EU legislation has an integrated approach as regards hygiene (from the farm to the fork). The direct sale of raw milk and milk based products from dairy holdings to the final consumer is exempted from EU veterinary rules but, in this particular case, Polish rules will apply so that hygiene conditions are met correctly. There are no provisions which prevent the farmers from milking their cows by hand. However, guaranteeing hygiene of the milking process is an important element in ensuring the safety of milk sold to the consumer. It should be performed in a hygienic way. The existing general conditions applying to milking are achievable and compatible with any type of farming (i.e., the cowshed, milking parlour, milk-room, the equipment and utensils used for milking must at all times be sufficiently clean and in good condition - cows must be clean and well-kept - before the milking commences, milkers must wash their hands and the udder of the cow must be clean...). These requirements are pragmatic and pertain to good husbandry practices rather than to strict, unachievable and inappropriate requirements. * EU agricultural bureaucracy is notoriously voluminous and complicated. Even if a farmer has only one cow, its ears must be tagged and its movements meticulously logged. One ICPPC campaigner - himself an organic farmer - claimed that 60% of his working day is devoted to paperwork. This may be achievable by a large-scale 'industrial' farmer who can employ a manager, but to a small-scale, 'traditional' farmer, it is surely just unworkable. Would the EU be prepared to consider streamlining and simplifying its agricultural bureaucracy? Would the EU also be prepared to apply a different, more relevant and realistic set of regulations to small-scale farmers or, failing this, apply its regulations exclusively to farms over a certain size and - like the former 'Communist' authorities - leave small-scale Polish farmers to continue their traditional socio-economic existence and trade their produce with whomsoever they wish? In recent years the EU has already taken important steps to substantially simplify the CAP. We have for instance already a simplified system that greatly reduces the complexity of applying for and paying aids to small farmers, better known as 'The Small Farmers Scheme'. Around 20% of EU's farmers can benefit from this system and make one single application a year for direct aid and receive one global payment per year. However for Poland and most other acceding countries this will not apply. Instead, to take account of the administrative complexity of the normal CAP and the fact that farmers in the acceding countries are not familiar with EU procedures, we have proposed something even simpler - the Single Area Payment Scheme (SAPS). Full details of this can be found in the Act of Accession, but the basic principle is that all the money that would have been received under the separate direct payment schemes gets lumped together and divided by the total agricultural area of the country. This gives a single, unvarying flat rate of aid per hectare, regardless of what the farmer does with his or her land. So far nearly all of the acceding countries, including Poland, have expressed their intention to opt for this 'simplified' payment scheme. The SAPS, if chosen, will apply equally to all farmers, big or small. There is no simpler system that could be applied exclusively to small farmers. Indeed, although there are certain minimum practical thresholds for aid claims (farmers must have a minimum number of hectares, which the member state may set at between 0,3 and 1 hectare), the EU has no interest in excluding small-scale farmers from EU support. The acceding countries will even have specific rural development measures such as the new 'semi-subsistence' measure, which is designed precisely to support small semi-subsistence farmers during a period of restructuring. However, as to food safety, the EU made it clear from the beginning that it would not accept a situation that might lead to lower food safety standards or to any risks for consumers and the new Member States recognised that compliance with the EU's acquis on food safety was essential. For instance the regulation on identification and registration of bovine animals which is to ensure traceability by means of ear tags, passport, holding register and central computer database, applies to all bovine animals irrespective of the size of the holding and Poland has committed itself to fully transpose and implement the said EU regulation. Just a couple of follow-up questions regarding our recent 'interview'. You say that with regard to 'food miles'; "apart from possible tax measures that may increase the price of transport, I do not see how a regulatory approach could work here"
Many Greenscene readers might say; "why not?" While I would encourage consumers to make environmentally responsible choices, if they decline to do so, is it not reasonable to expect them to pay the real costs of their choices? * Is the EU hostile to a system of levies that would increase the cost of food transported considerable distances and sales tax relief for food produced and sold locally? · If not, would the EU expect the initiative for such a scheme to come from consumers, or would the EU be prepared to 'take the moral lead' and impose such a scheme itself? Mark, this is an issue I would not want to elaborate on.